This is a little self promotion but it does feature a few team riders and for anyone overseas should give you a little more insight into our scene here in Australia. 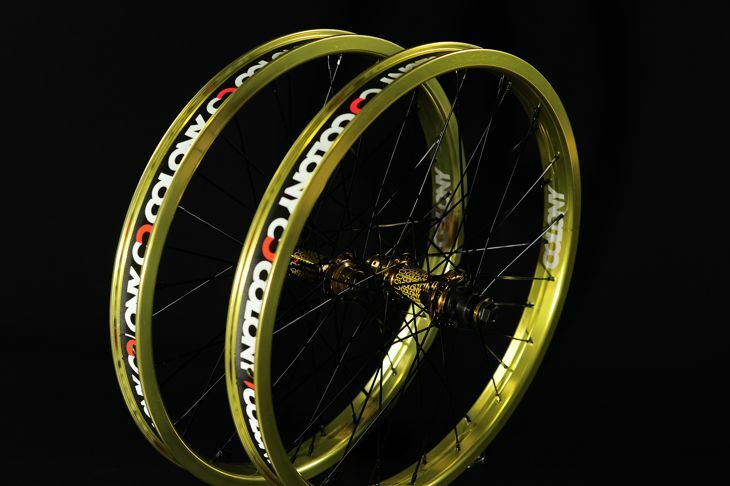 Our Contour complete wheel sets come in all of our 2011 colours & feature our Contour rims laced with stainless spokes into our Clone hubs. Available in either male or female axle for the rear & female only for the front we got you covered. Check them out by clicking here now or at your favourite Colony dealer. My original idea was pick my top five favourite web videos from the team in 2010. But once I started going through them all, I soon realised five was going to be hard, so I made it my top ten instead. Enjoy. 1. 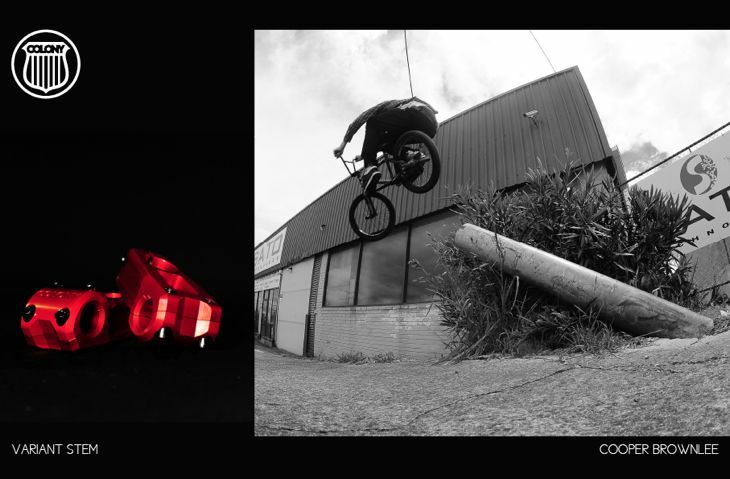 Chris Courtenay blew minds with this edit & it fast tracked his promotion to the pro team. 2. Pete Radivo has always been one of my favourite riders & still is to this day. You rule Pete. 3. Zac Miner has got the skills in pretty much any terrain you can throw at him. Look out for more of Zac in 2011. 4. Tom Stretton is the front wheel king as far as I am concerned. I wish I could nose wheelie like Tom. 5. Simon O’Brien rules at flatland but also showed his ramp skills in this edit. Always a treat. 6. Chris Courtenay once again comes through with the goods. Looks like taking 8 months off didn’t hold him back one bit. 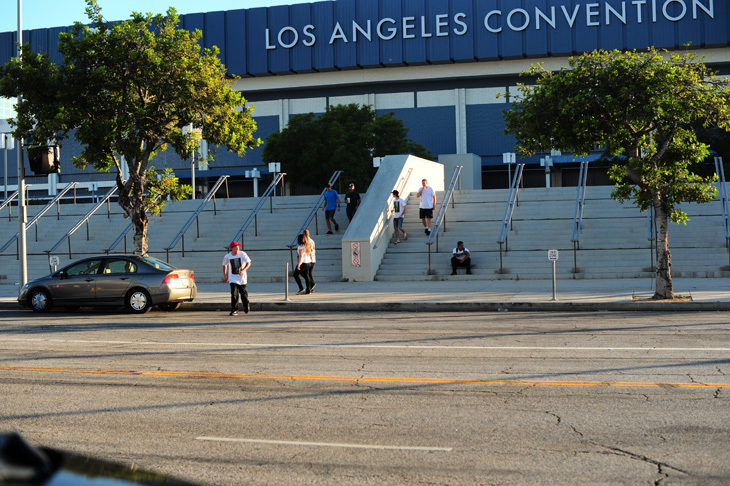 7. Cooper collected this footage for his welcome edit & showed his skills in front of the camera. 8. Alex had his friends film this one for this bro cam edit. Get well soon Alex !! 9. Broc Raiford is our USA flow rider & for good reason. He rules. Another guy to look out for more of in 2011. 10. Marnold rules straight up. We are having a little comp over on our facebook page where you can possibly win yourself some grips and stickers. All you have to do is become a fan of the Colony page then leave a comment there about what colour you like the most in the current 2011 product range and you will be in the draw. Five riders will be picked at random and sorry for this one it is for Australian residents only. From everyone here at Colony we wish you all a very Merry Christmas & an even better New Year. Thanks for all your support throughout 2010. Here are a few good memories from our travels this year around the world. Enjoy yourself & take care. 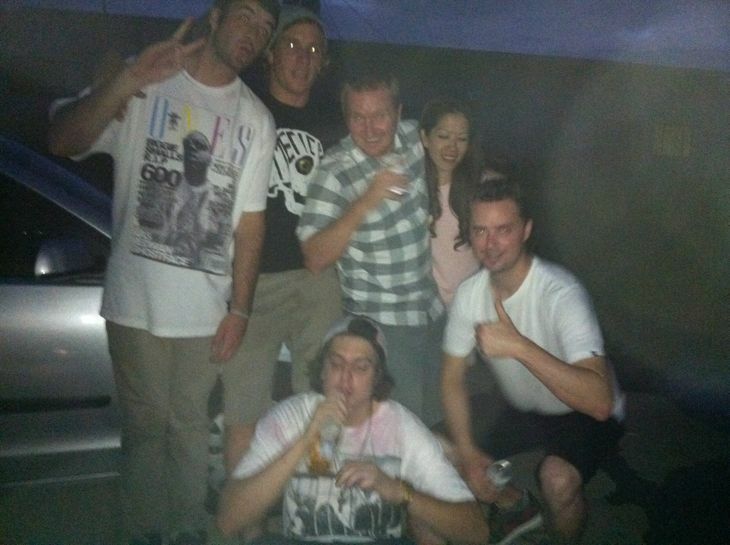 Last night we had a little shindig here at the Colony warehouse to celebrate the year & Xmas. 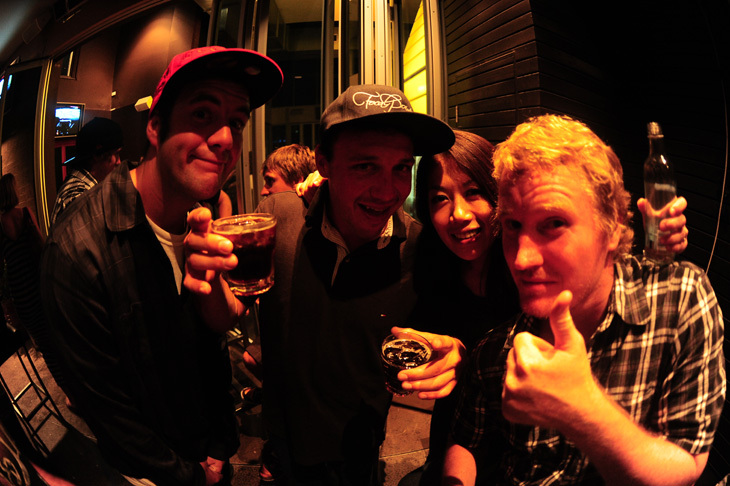 It was a really fun night & I would like to thank everyone who came along. This iPhone photo is about as blurry as the time had last night… good times !! 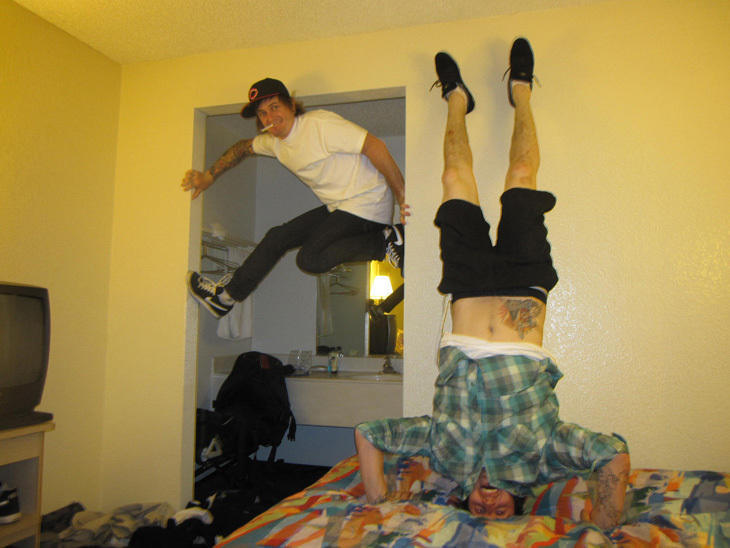 I was going through photos and came across the original photo that we used for the Travel Life t-shirt. 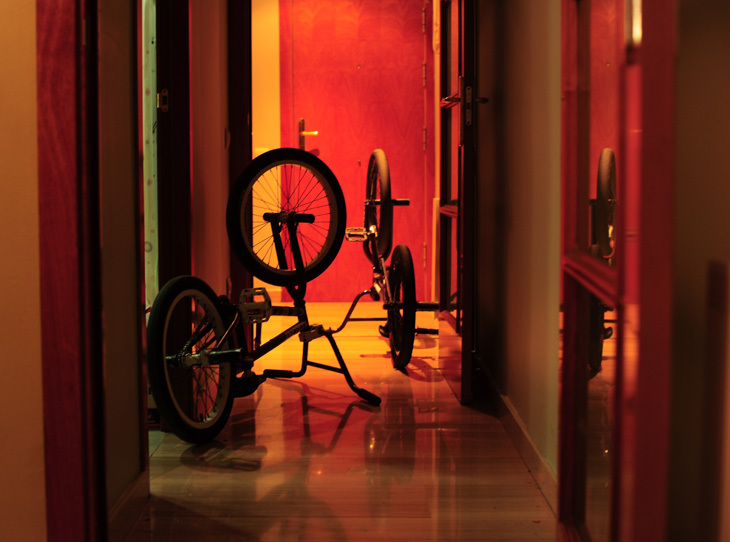 This shot is from inside the place we were staying in when we were in Barcelona earlier this year. The trip didn’t really work out that well for me personally getting my bike confiscated but it was still a fun trip. 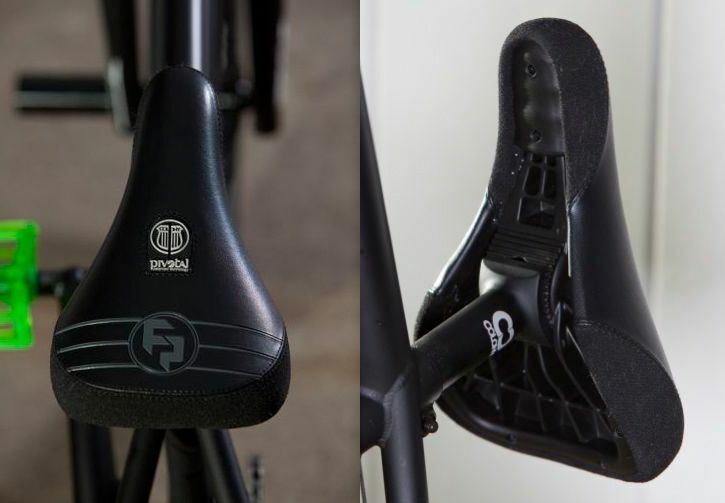 We have once again teamed up with Focalpoint to bring you a second version of a colab seat. Shown here on Ryan’s new bike is our Fat version. 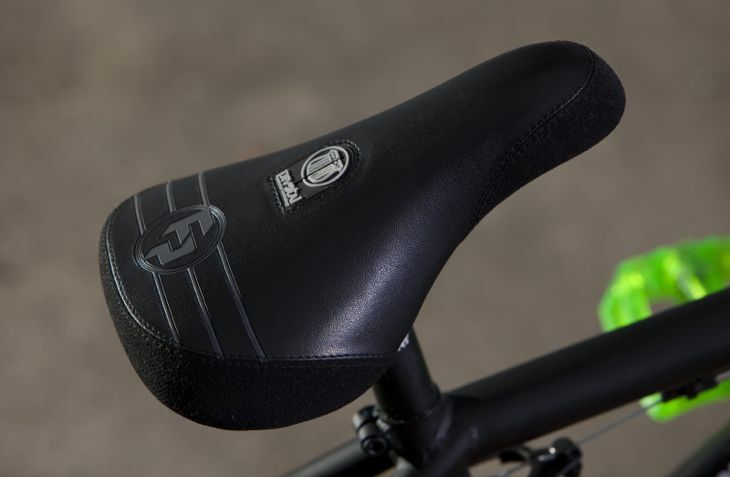 The seat will come in Super Slim, Mid & Fat. Expect it in Australian shops only around late February. Spotted this over on the Focalpoint site & was into it. It’s pretty much got nothing to do with Colony what so ever, except for the fact Ride On sell our stuff but thought it was worth sharing. I for one really enjoyed this. Word. We met Steve earlier this year when we were in France, he was nice enough to show us some fun spots and take us to by far the best indoor park I have ever seen (Which he rides in this edit). 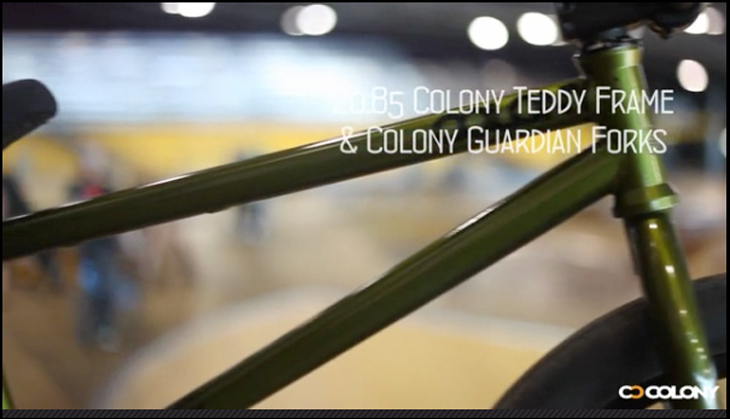 Unleaded hooked Steve up with some Colony parts recently and this is a video bike check os his new set-up. I couldn’t work out how to embed this for some reason so check it out here. Liam Zingbergs is so hot right now! 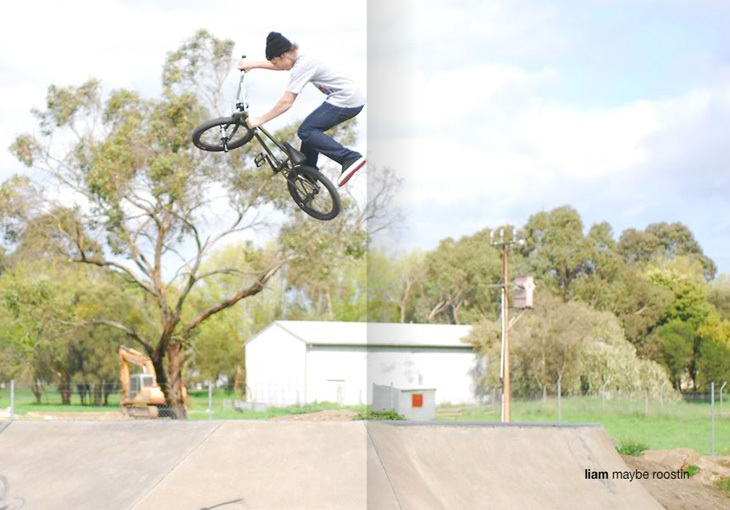 Yet another news post relating to Liam Zingbergs, this time it’s a little feature he has in an Adelaide magazine that seems to have nothing to do with BMX but it looks cool to me! Spotted via Little Black Bike and Primary Threads. 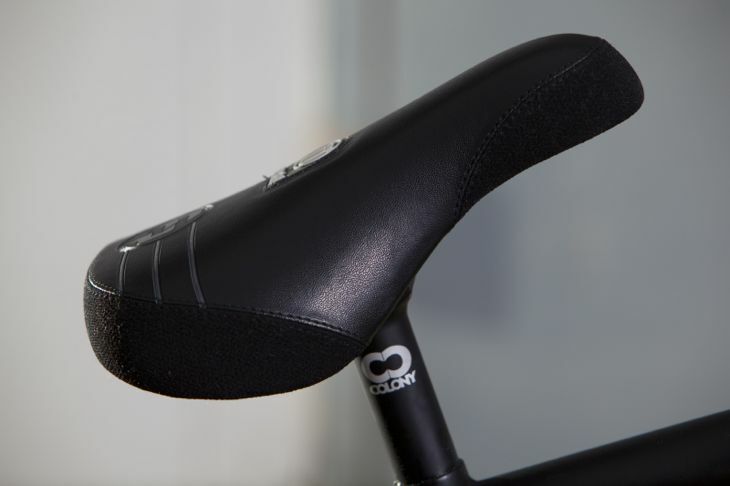 Simon O’Brien’s signature frame & fork for 2011 has a special feature in that for every one purchased comes with a free copy of Simon’s latest DVD, aptly named DejaVu. Not only do you get to ride the Australian flatland legend’s own set up but you get to watch his skills over & over at your own leisure. 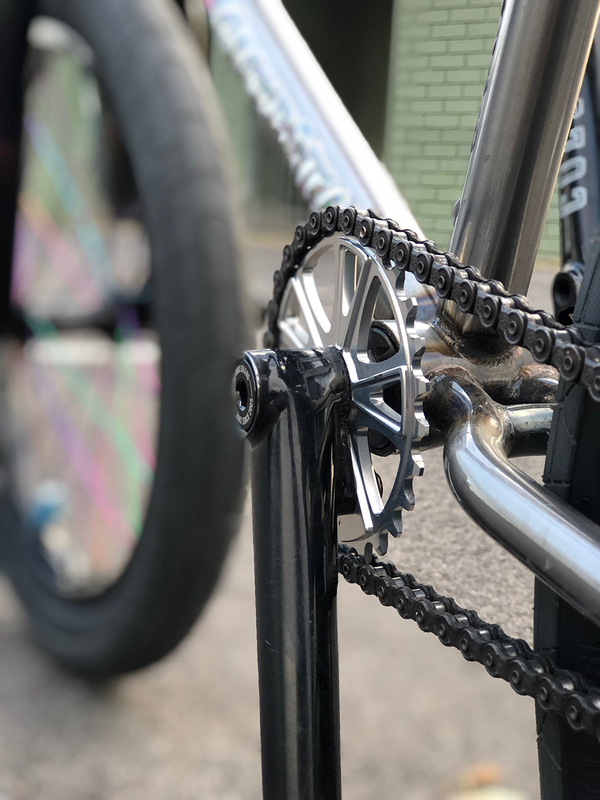 Check them out at the following dealers… Newcircle in Australia & 3edge works in Japan now & Flatland Fuel in a few weeks. Cooper Brownlee loves getting the spray can out often to change up his bike’s look & feel. His recent colour scheme is gloss black for something different. Check it out. Cooper has been keeping busy down in Melbourne organising the teams travel plans for next year, should be a good one for sure. 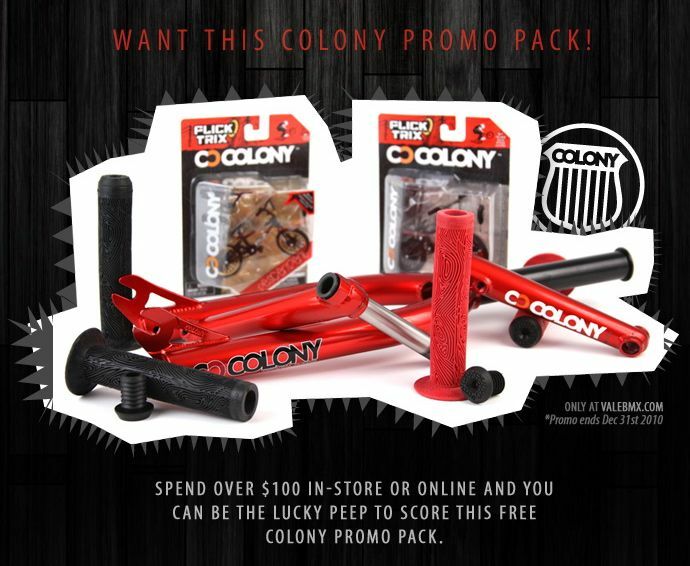 Helensvale BMX have a great Colony promo going on right now… get on it !! We have been flat out the last couple weeks with multiple containers arriving full of 2011 stock. 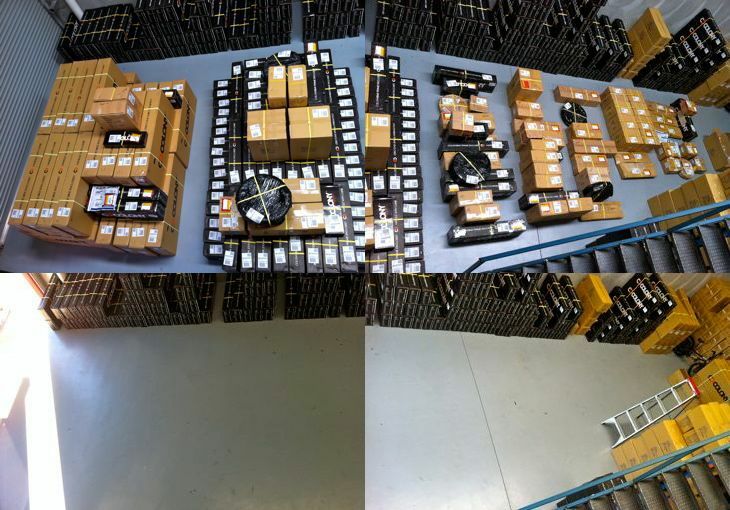 The latest which was all sent out today included re-stocks our 2011 frames, forks, bars & our fresh new colour seats. There is also the new colour pro complete bikes. Check with your favourite Colony dealer now for last minute Xmas goodies. 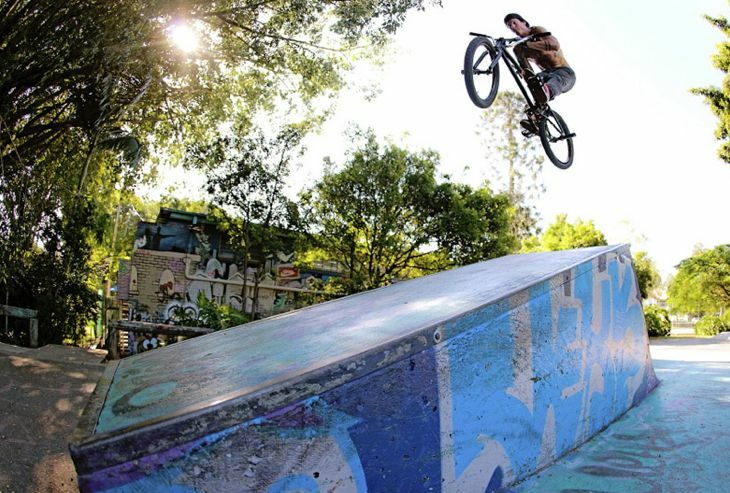 Liam Zingbergs getting rad as usual. 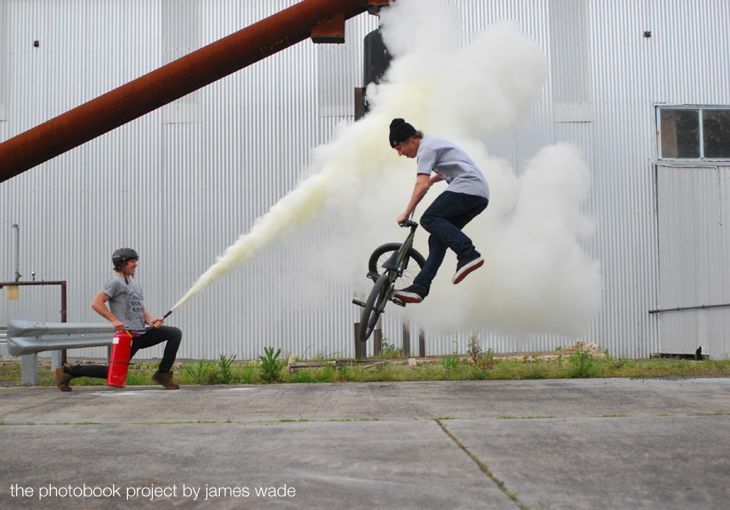 Jacked from James Wade’s photo book… word. This one of Marnold is from a couple months ago. Thanks to Daniel Johnson for the photo. Here is the first photo of Ryan & his new ride. At the moment he is on a Rebirth frame while we wait for his prototype The Living frame to arrive in the next few weeks. More on that frame soon. 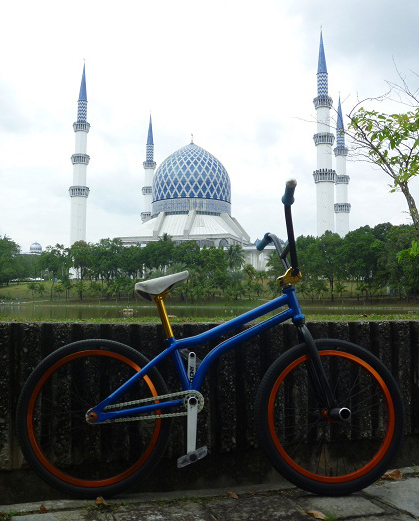 We will also post a full bike check in the next few days ahead. Thanks to Colin Mackay for the photo. When you can bomb any rail in sight & have been doing it for as long as anyone can remember, then you deserve your own signature frame. Especially if your name is Mick Bayzand. Mick has been a staple part of the team for more than a few years now & is always putting himself on the line doing what he loves. Mick’s frame, the Teddy handles this abuse with ease & is one of our more popular frame choices of the team. Check it out by clicking here now or at a Colony dealer near you now. 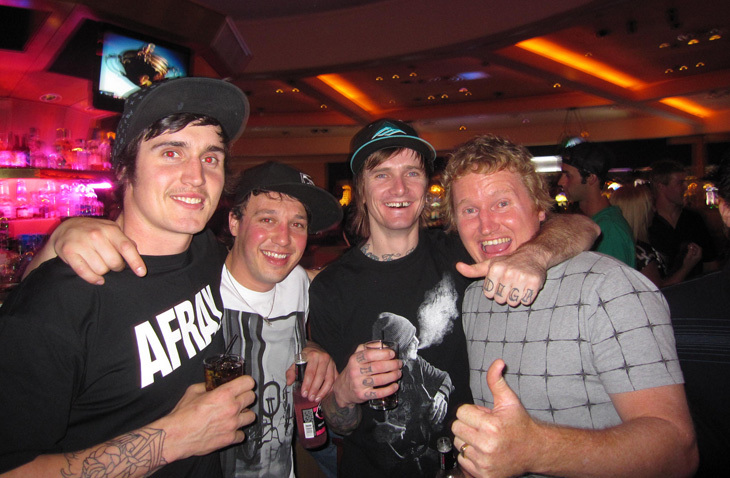 Effective immediately Ryan Guettler has left Mirraco on good terms to ride exclusively for Colony for 2011 & beyond. I am really stoked that we could make this work & so is Ryan. I have known & ridden with Ryan since he was like 7 or 8 years old & this just seems natural that he would eventually ride for my company. Ryan has always been a big part of the Colony family but now it feels complete with Ryan on board 100%. 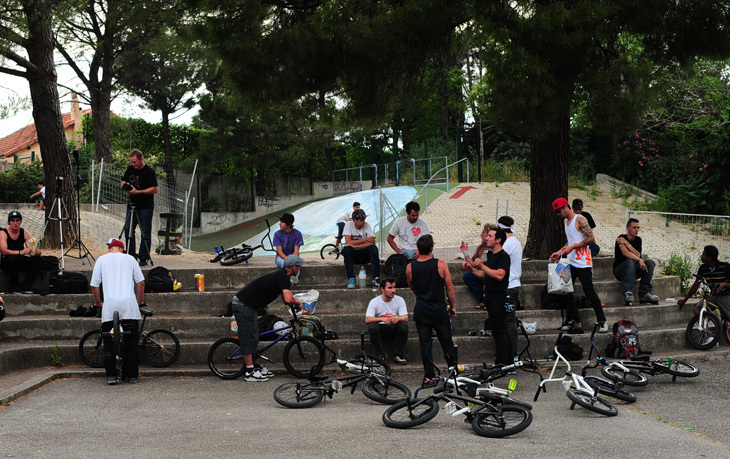 You can expect out in August 2011, a signature frame & complete bike called, ‘The Living’ with Ryan. 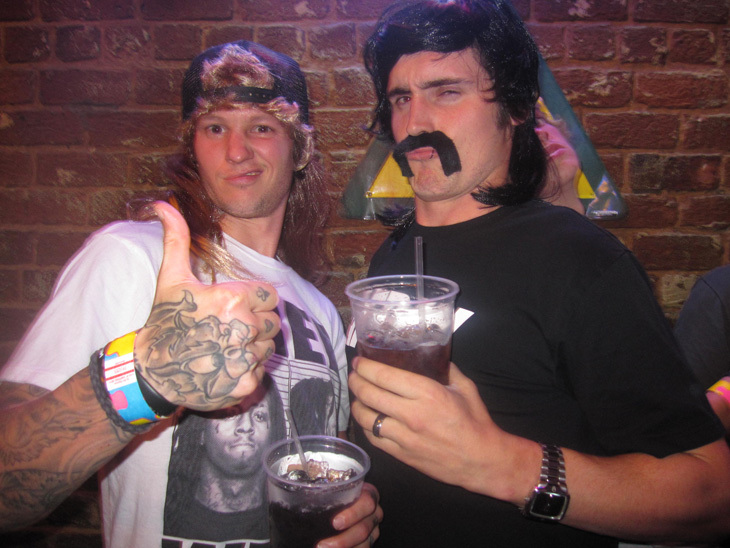 Once again, I am so stoked to have you aboard Ryan… looking forward to the years ahead mate. In 2005, Guettler turned pro and also proved to the other riders in Austrailia he could fly across the ocean to America and “Make it”. Ryan made Dew Tour History as a rookie by collecting Year end Titles in both Park and Dirt in the same. “I’ve been with Mirra Co since 2006 and we’ve done some amazing trips together but now it’s time for me to become a 100% Colony rider.” “Colony is the largest brand in Australia and I want to help them get their name out in America.” “I just want to thank Mirra Co for all the support over the last 5 years.” says Guettler. “On behalf of Mirra Co, we want to wish Ryan the best of luck and a fresh start to a brand new journey.” says Mirra. Our Mountjoy grips come in six different colours & are available now at your favourite Colony dealer. 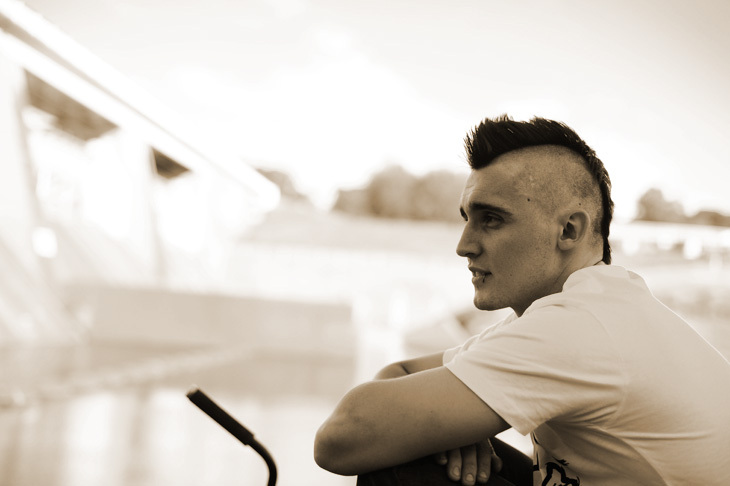 Spotted a few cool photos of Liam Zingbergs in the recent photobook by James Wade. Basically if you wanted to see what’s been going on in South Australia you should check this out. Attila Godi autumn / winter edit. Our flow rider Attila Godi from Hungary hit me up with this web edit he recently made. Attila tells me it’s snowing over there so not much riding going on, I don’t think I could handle living anywhere near snow. For those in Australia patiently waiting for new stocks of our Bull Bars they will land this week & be in stores early next week, just in time for those Christmas orders. Available in all our 2011 colours as shown here now. Check with your favourite Colony dealer to secure your pair now. Our poster boy for this month is none other than Cooper Brownlee & the featured product is our Variant stem. Hit ’em with it !! 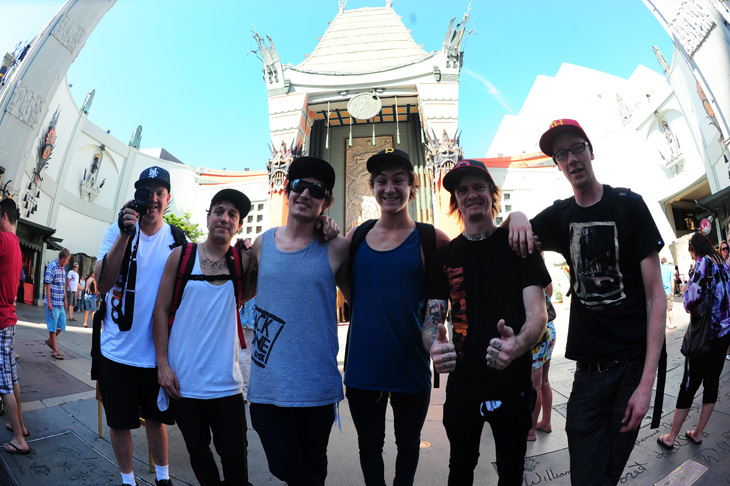 Zac Miner sent over a few photos from the USA trip we took a couple of months ago. Zac stayed on over there for a couple weeks after most of us left. He was stoked on these photos as they all remind him of good stories from the trip. It’s summer, everyone should be out road tripping!